Emotional health issues impact 1 in 5 people in the United States and cost adults some $193.2 billion in lost earnings per year -- but mental health care and support remain stigmatized and beyond reach for many of us. It’s worth considering -- what would a solidarity economy approach to mental health look like? Can we use the commons to create access to wellness? One answer is to organize communities to provide emotional support. The Icarus Project, a support network and media project by and for people who experience the world in ways that are often diagnosed as mental illness, is doing just that. Icarus has some fifteen chapters nationwide that offer non-judgmental, compassionate peer support. Icarus’s online forums -- both on the Icarus site and on social media -- are also a vital resource. This is especially true for people who seek virtual or anonymous support, an understandable need in the context of mental health stigma and criminalization. “We’ve found that the most transformative approaches are those that allow people to directly connect and share wisdom,” says Agustina Vidal, Icarus Programs Coordinator. Icarus publications draw on the wisdom of lived experiences and are available for free or at low-cost. Organizing peer support isn’t easy, however. Many Icarus members face barriers to employment, housing, and services that make their day-to-day lives unstable and impact their ability to organize. Oppression -- such as racism, ableism, and queer and transphobia -- can cause emotional distress and deepen experiences of instability and injustice. Finding ways to support people who confront intersectional oppression at the same time as emotional distress is a central priority for Icarus. Another approach is that of Chicago’s Sage Community Health Collective, a worker-owned collective dedicated to healing justice, which means directly addressing the “consequences of oppression on our bodies, hearts and minds.” Tanuja Jagernauth, a collective member, acupuncturist, and herbalist from a working class immigrant background, says “It’s important for my practice to be something my own family could access.” Sage offers sliding scale pricing, partners with local social justice nonprofits, and shares knowledge and skills with patients and other healers. "I believe in radical consent, and that means eliminating all the subtle forms of coercion that happen in clinics"
That’s a far cry from the stories Icarus members share about their treatment at the hands of psychiatric wards and it opens a new path for care that adheres to solidarity economy values of democracy, social justice, ecological sustainability, and mutualism. These are just two models to consider from the wide range of healing justice strategies, but they offer an important lesson: a network of peers, be they patients or practitioners, can have a substantial impact and save lives if held within an empowering, anti-capitalist, anti-oppression context that enables knowledge and skill sharing. 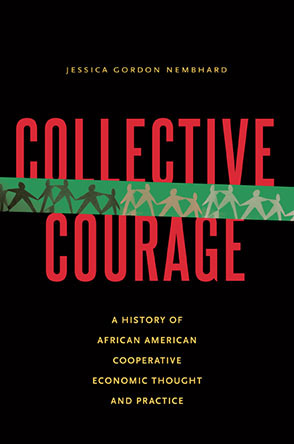 Other groups, such as Generative Somatics and Generation Five, are similarly engaged in bridging healing justice and resistance struggles, and together the four present a radical approach to emotional wellness that offers opportunities not only for much-needed care, but also for a new kind of organizing that centers on individual recovery while creating collective knowledge. That's good news for the one in five people suffering from emotional issues, and for the movements that confront pain and trauma every day.